NIU takes on Indiana State on Friday, Nov. 11, 2016 at the Convocation Center at Northern Illinois University in DeKalb. 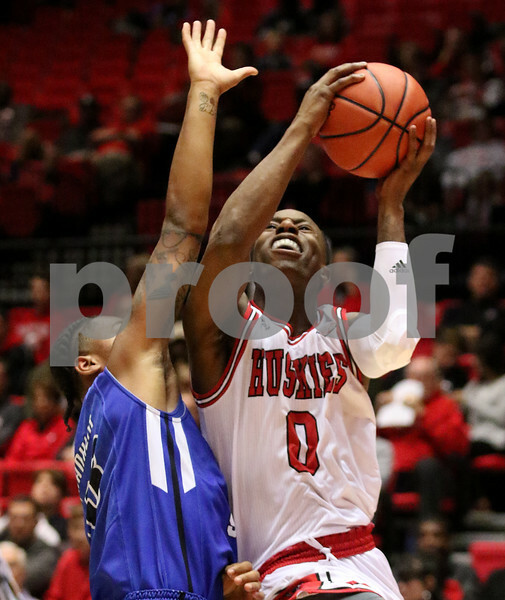 NIU won their men's basketball home opener 80-78 in overtime. Marshawn Wilson of NIU gets fouled by Donovan Franklin of Indiana State on Friday, Nov. 11, 2016 at the Convocation Center at Northern Illinois University in DeKalb.